Who Is The Patron Saint of Computers? The First Steam Engine Was Known As What? Patron saints are, per the religious beliefs of both the Roman and Eastern Catholic Churches as well as the Eastern and Oriental Orthodox Churches, highly regarded and holy figures from the history of the church which are believed to act as intercessory agents and advocates for humanity in some regard. There are patron saints for all manner of things like child birth, travelers, individual cities and nations, and all manner of activities and places. Despite the common perception of saints as historical figures from the distant past–blacksmiths and bakers have patron saints, after all–there’s even a patron saint for a thoroughly modern invention: computers. 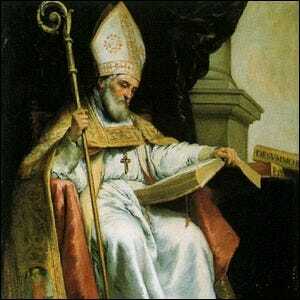 Saint Isidore of Seville was well known in his time as a tireless scholar and historian, he was later called “the last scholar of the ancient world”, and it is this studiousness and love of information that lends itself to his modern patronage. Per the Roman Catholic Church, Saint Isidore is the patron saint of computers and their users, programmers, and repair men, as well as the Internet as a whole. So the next time you’re faced with a computer problem of such magnitude as to require a miracle to fix it, rest assured Isidore is on it.